SAMe (S-adenosyl-L-methionine) is a naturally occurring compound in the body. It can be found in every single cell in the body. Supplementation of SAMe has been shown to be effective in treating osteoarthritis joint pain, stiffness, and inflammation. Research shows that SAMe also acts as an anti-depressant and has been shown to treat cases of major depression. SAMe supplementation appears to be quite safe, according to research studies. The body makes all the SAMe it needs on its own. Supplementation of SAMe can enhance the effects that S-adenosylmethionine has on the body. 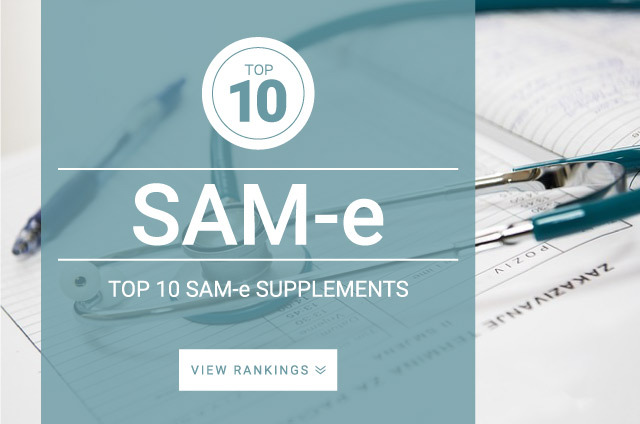 Standard daily dose of SAM-e : 400 mg – 1,600 mg of SAMe per day. Certain dosages are more effective at treating certain health issues, below are several dosages research states you should take in order for SAMe to have proper effects. Osteoarthritis — 1,200 mg of SAMe was as effective at reducing inflammation and join pain. Depression — 400 mg – 1,600 mg per day. Some studies suggest 1,600 mg of SAMe daily. Fibromyalgia — 800 mg per day. SAMe supplementation benefits may take anywhere from a few days to five weeks to be fully noticeable.